Nestled in a private, woodland haven, Blalock Lakes is a perfect blend of outdoor activities, traditional Southern living, contemporary conveniences and beautiful vistas. In short, there’s something for everyone to enjoy in the idyllic, 1,600-acre community, from young families to empty nesters to singles. “Blalock Lakes is an outdoor lover’s paradise in every sense,” said Wight Mixon, Associate Broker with Dorsey Alston, Realtors, and Director of Real Estate Sales and Club Membership at Blalock Lakes. Located in Newnan, Ga., Blalock Lakes is just 45 minutes from Hartsfield-Jackson Atlanta International Airport and one hour from downtown Atlanta. But what really distinguishes it from other communities, in addition to the natural beauty of the land, is the “sporting” lifestyle. 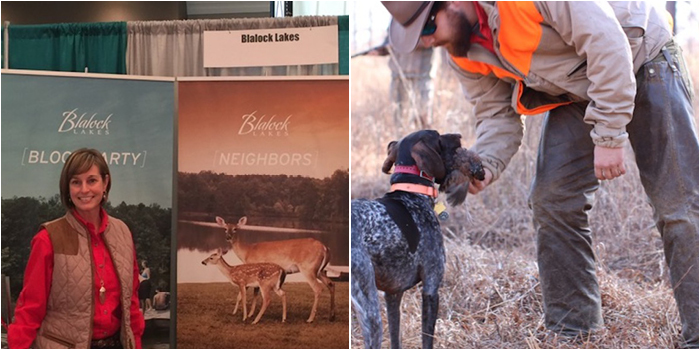 Blalock Lakes offers guided hunts with well-trained dogs through carefully managed fields and forests that provide the perfect habitat for quail. There is also whitetail deer bow hunting. It is home to a world-class sporting clays facility as well as equestrian facilities and miles and miles of riding trails. The lakes are aggressively managed for trophy bass fishing. In addition to being a community, Blalock Lakes is also an exclusive Sporting Club, and a limited number of memberships are available. Residents Shane and Cortney Lyle fell in love with life at Blalock Lakes. An outdoors family – equestrians and bird hunters – they take advantage of the amenities and activities all year round. With its access to hiking, swimming and other popular activities, Blalock Lakes attracts people who love exploring and enjoying ample greenspace. Its illustrious tree canopy and breathtaking natural scenery, enhanced by beautiful lake jewels, provide the perfect setting for quiet reflection and relaxation. The growing interest in the unique community is reflected in strong sales. 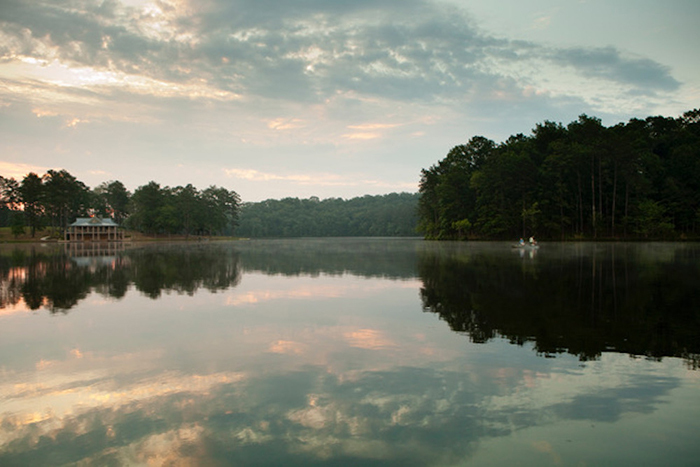 From its Sporting Club memberships with access to fishing and hunting, to available homesites surrounded by beautifully-appointed landscapes, Blalock Lakes balances its amenities with easy access to historic downtown Newnan, which has quaint shops, amazing restaurants and all of the services one needs. When the community was first developed, enthusiasm was high, but the timing could not have been worse with the real estate market downturn. Thankfully, times have changed for the better. Homesites range from half-acre wooded lots for around $60,000; three-and-a-half-acre equestrian lots for $175,00, and up to one-and-a-half-acre lakefront sites for $275,000 and everything in between. A few spec homes are available for sale, including a four-bedroom cabin for $399,000 and a four-bedroom home on prime lake lot for $649,000. A true hidden Gem! An amazing paradise for the entire family! !